I love your writing and the topics you cover. Please do not take this personally but if you could learn to use “your” and “you’re” correctly, your writing would shine even brighter. You are very insightful and keep up the good work! I enjoy your blog, and great writing! I have Sun in Gemini and Venus in Cancer in the 12th house. It’s been a challenge, but have learned a lot of lessons, and have read two books on the subject. Twelfth house planets are unconscious, and unless made conscious, usually by meditation, the archetypes remain in the dark. Also, these planets need to be used on behalf of humanity in a form of selflessness. 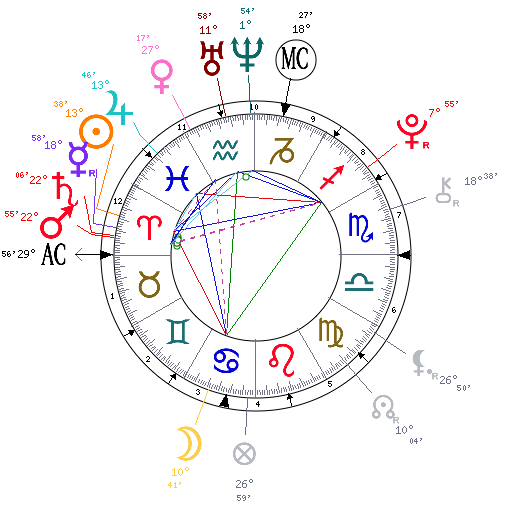 I have two planets in the 12th house, and need a considerable amount of quiet, and time alone. However, Paris has four planets in the 12th, so she needs even more quiet time, alone to think, meditate, engage in a medium of artistic expression, journaling, gardening, films, etc. It looks as though the North Node is in Virgo in the 5th house, so she would probably enjoy working with, or writing for children. The news has indicated that she is in therapy, which may help, if she can spend time with a Jungian therapist. I have worked with a wonderful Archetypal Astrologer for many years, which has helped tremendously. Lastly, as a 12th houser, my compassion is with her to find a positive outlet that will lead to healing!